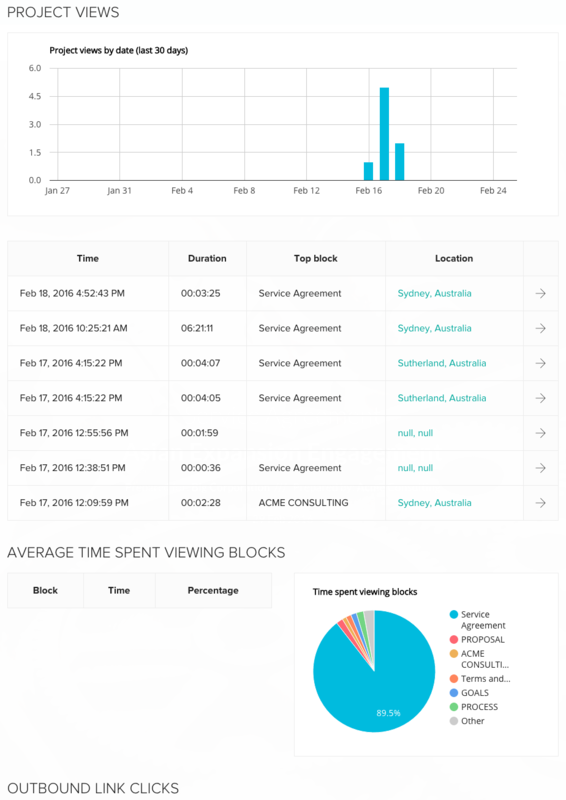 Qwilr gives you helpful information about who has viewed your Qwilr Page and how much time they spent looking at it. Note: Advanced analytics are available only to Business and Enterprise customers. If you're on our Pro or Starter plan on your dashboard you'll be able to see a basic view count for how many times your project has been viewed. For more advanced analytics you'll want to be on a Business or Enterprise plan. While we do our best to ensure that no views by a logged in user are counted as views of the project, there can be instances where this does occur. We recommend that you leave your Qwilr Pages in draft mode until you're ready for your client to view them and for analytics to be tracked.